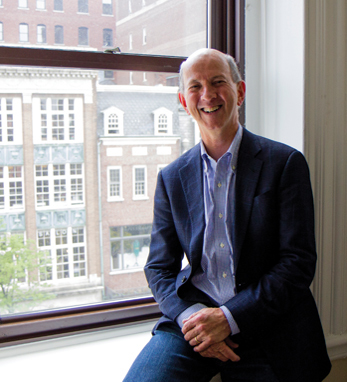 Jim Geraghty joined Third Rock Ventures in 2013 to create companies dedicated to improving the lives of patients with rare genetic diseases and support existing portfolio companies in the rare disease space. He is an industry leader with 30 years of strategic and leadership experience, including more than 20 years developing and commercializing therapies for rare diseases. Jim has taken an active leadership role as Interim CBO of Voyager Therapeutics. Prior to Third Rock, Jim served as senior vice president, North America Strategy and Business Development at Sanofi. Before Sanofi, Jim spent 20 years at Genzyme, where his roles included senior vice president international development, president of Genzyme Europe and general manager of Genzyme’s cardiovascular business. He also served as chairman and chief executive officer of GTC Biotherapeutics (formerly Genzyme Transgenics), which he founded and took public. Jim oversaw Genzyme’s Humanitarian Assistance for Neglected Diseases program, under which the company supported innovative therapeutic programs on a non-commercial basis. He is chairman of Idera Pharmaceuticals, a member of the Joslin Diabetes Center board of trustees and serves on the board of BIO Ventures for Global Health. A graduate of the Yale Law School, Jim also holds a master’s degree from the University of Pennsylvania and a bachelors from Georgetown University.